Although both my kids are in school full time now, their world is still small and protected. Sometimes I see things on the news and I think I should talk to them about it but I shy away. However, when they ask questions I try to give them age appropriate truthful answers. The Boy Who Asked Why allowed me to broach the topic about class prejudice. Bhim’s story is truly inspirational. 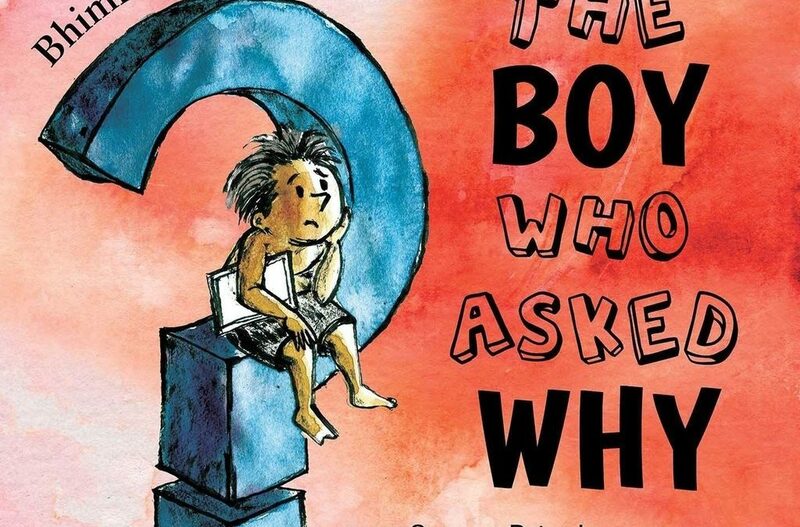 The Boy Who Asked Why is a book about courage, resilience, hope and the power of education. The Who Asked Why was based on the life of Bhimrao Ramji Ambedkar (Babasaheb Ambedkar). 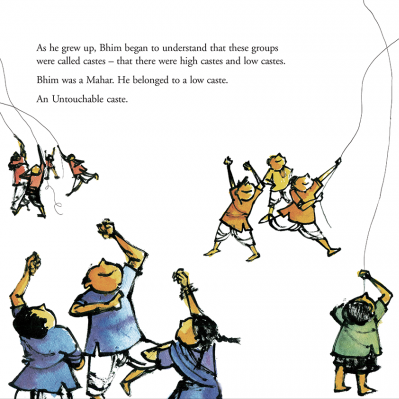 It was written by Sowmya Rajendran and illustrated by Satwick Gade. Bhim was born in India, in 1891. During that time the caste system was rigidly adhered to. He was born into the Untouchable (Dalit) caste. People from the Dalit caste were street and latrine cleaners. The Boy Who Asked Why follows Bhim’s journey through life. His experiences and what it means to be a Dalit was handled with care, sensitivity and explained simply for younger ones to understand. As it is with small children, they ask lots of questions. Like any other child, Bhim asked ‘why?’ His resilience and determination to change circumstance for his people, lead to changes in his country. Reading this story with my children it made me realise just how innocent they still are. In their little minds prejudice happened in the ‘olden days’ and in other places not England. So we had a brief age appropriate chat which allowed as all to appreciate Bhim’s successes. Who said one person can’t make a difference? Read Bhim’s story to be inspired. Valentina’s best bit: She loved the illustration. The thought Bhim was so cute with lil chubby cheeks and was moved by the story and his trials. My best bit: I concur with Val on the above. I would certainly recommend this book; Bhim is an inspirational one. It’s a lesson to us all, never stopping asking ‘why?’ when we see injustice. Visit KitaabWorld website for more information on all their books, including The Boy Who Asked Why? What a great topic that all kids can relate to! Thank you so much for sharing on the MDBD linky and for your support of Multicultural Children’s Book Day! Thanks for visiting Mia. It was a pleasure to take part and find out about some amazing stories.